All Caregivers Nova Scotia staff are or have been caregivers. Collectively, we have cared for young daughters, siblings, partners, and parents with rare and chronic conditions, cancer, dementia, diabetes...We have been long-distance caregivers, as well as palliative caregivers. My name is Judy and I have been a caregiver to my husband Harry for the past ten years. Harry, now 86 yrs. old, has dementia and has had a few mini strokes which, coupled with other age-related medical conditions has severely and forever impacted both our lives. Learning how to cope with my husband's loss of mobility and memory has been a very difficult journey. Feelings of loss, anger, resentment, frustration (and grieving for a lost once dynamic & vital relationship) not to mention guilt, has seen my stress levels soar. Having no immediate family support has made it even harder in accepting and learning how best to manage completely all the household and financial affairs. Some of the stress has been eased since Harry was placed in a govt. cost-shared nursing home last summer. I feel comfortable knowing that he is in a safe place and that all his needs are being looked after. I am, however, still caught with one foot in Harry's new world and trying to find a new one of my own. I have been truly blessed to have a few girlfriends who provide much needed emotional support to me. They, as well as the Caregivers NS support group sessions, have certainly helped me keep a toehold on sanity! 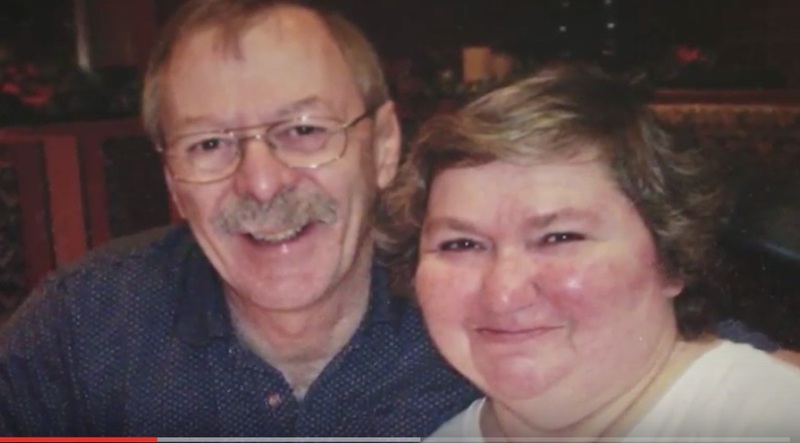 My name is Judith, and I am a caregiver for my husband, Howard. It seems a lifetime ago since Howard was diagnosed with Parkinson's Disease, but in reality it was fifteen years ago. He was sixty-one and was driving tractor trailers to Newfoundland. He was no longer allowed to work. That was life-changing for us, as I had not worked full time in the thirty-five years we had been married. I was able to secure a teaching job, but that meant leaving Howard home alone. Life became more and more difficult as his disease progressed. He did not sleep at night and was very demanding in wanting my help to get up/ lie down, or any other thing he might want. He also became quite aggressive. In June of 2010, I retired from teaching, as I felt Howard was just not safe at home alone. 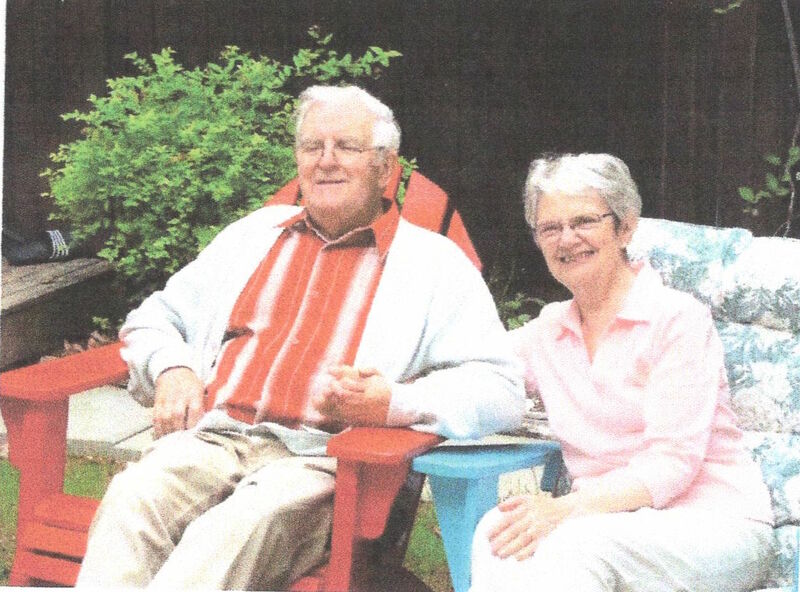 He was assessed for placement in a nursing home, and in December of 2010, entered a home in North Sydney, in Cape Breton, where we were living. Thus began a very challenging time. Howard has OCD, and refused to follow any rules. He expected me to still be at his beck and call, no matter what I might be doing. He had a fall in which he fractured his skull and was not expected to survive. (He had been riding an old bicycle which he was told not to do.) Also, while in this Nursing home, he developed a serious relationship with a female resident. The following two years were a nightmare as I dealt with his behaviour, and a very hostile administrator. I suffered a complete mental breakdown, and tried to take my own life. I nearly succeeded. Howard was evicted from the home in North Sydney, and at my request, was transferred to Northwood in Halifax. We came here in December of 2012. His behaviour has continued to be challenging, but medication has lessened his aggression somewhat. I still see him every day, for at least two hours. I live in an apartment in the Northwood complex. Howard is able to come to my apartment at times. He has wandered too far outside, and gets lost quite often. He has been declared mentally incompetent to handle his affairs. I try to keep myself busy with other activities which do not involve him. The Caregivers Support Group is extremely helpful. I try not to dwell on the negative aspects of my life, as I feel overwhelmed when I do. My faith in God is what sustains me through many difficult times. We will have been married fifty years this August, and the journey continues. One thing I have learned on this journey is that I must take care of myself. It is okay to tell Howard "NO" sometimes, and take time to do things I enjoy without feeling guilty. 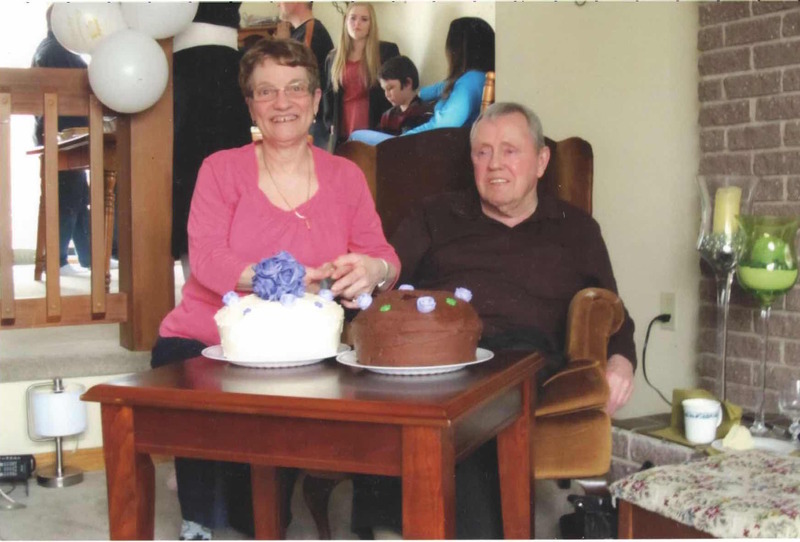 My name is Mary and I’m the caregiver to my husband, Raymond, who has multiple health problems. I’ve been the caregiver since 1987, but more specifically, since 2006. Raymond became ill in April 1984, with an infection which could not be diagnosed. This continued into Dec. 1986, when he became jaundiced; procedures showed blockages to his gall bladder and bile duct. The gall bladder was removed; sent home with a drain from the duct. In Feb. 1987, he received an experimental operation called Choledochoduodenostomy, where the bile duct was attached to the upper bowel, resulting in what has been named Sump Syndrome, as bowel waste would enter the duct, resulting in blood poisoning. 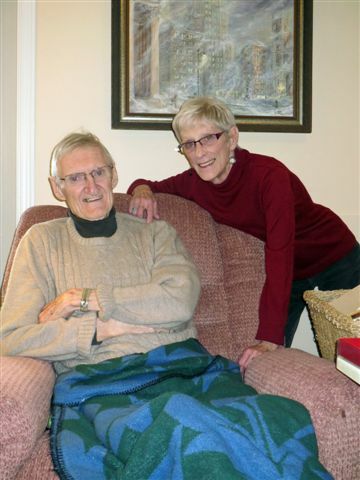 Over the next few years he began to have periodic serious spikes in fever, some infection, days off from work, and an early retirement from teaching in 1991. His first very serious bout was in April 1996, with life-threatening Septicemia and Septic Shock, a result of the blood poisoning, with ten days hospital stay. Antibiotics saved his life. Over the years, as the episodes of Septicemia increased, Raymond has been to the emergency an average of 5-6 times a year, some resulting in hospital stays (there were many, many home episodes when Tylenol worked). He has had numerous ERCP procedures - a tube inserted into the throat and the bile duct cleaned. The bypass procedure cannot be corrected. 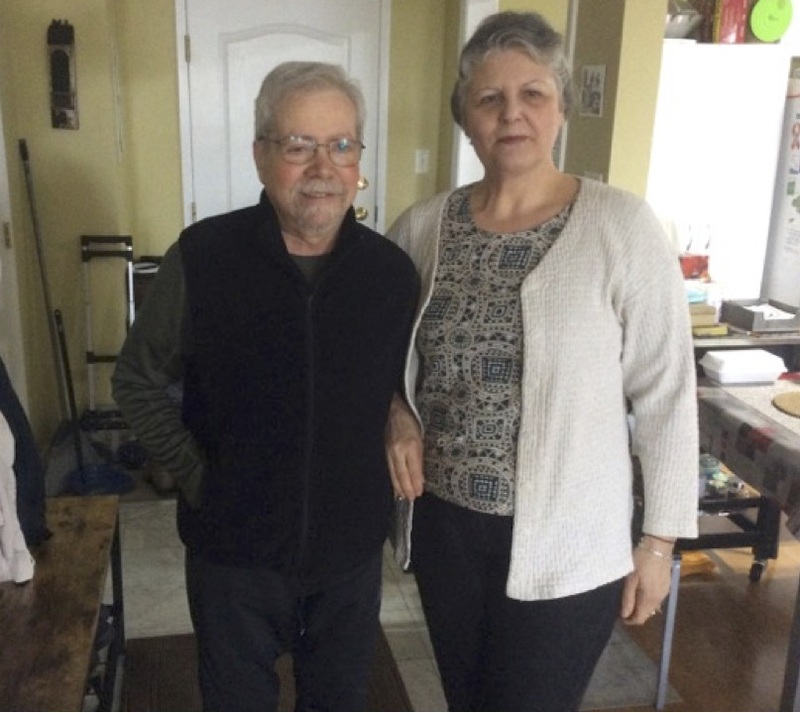 The repeated attacks on his immune system have resulted in some autoimmune disorders; Myasthenia Gravis - affecting the entire body muscle system, resulting in loss of mobility; damaged lungs - resulting in shortness of breath and on-going infections. He also has Prostate Cancer, and Atrial fib. Raymond has never been a smoker, has been active in sports and a walker most of his life. He now uses a walker or wheelchair. The greatest challenges I have had, over the years: first, the unpredictable episodes of his spiked fever, which could happen in the space of one to two hours. The taking of Tylenol would begin; we would wait an hour; and if it continued to spike, it was the ambulance to hospital. The suddenness of the fever and serious outcome meant I could not leave him alone; the decision making; the anxiety as to whether he needed an ambulance; some sleeping disorder as it would often occur at night; eating disorder with weight loss. His constant unwellness required my decision to retire from my volunteer work, specifically in the church, and with Meals on Wheels. This resulted in a form of being cut off from people; the danger of going out for any event thus leaving him alone. I developed a serious anxiety disorder. We are striving to seek more help to assist this concern. The things I am most grateful for: my good health which allows me to care for Raymond; his good spirit, good nature, which makes all things manageable; support of family; wonderful doctors (he has six) who care for him; the Caregivers Nova Scotia Support Group who inform us of available support, and opportunity to share with others, caring Paramedics who come; antibiotics; Emergency Room Staff who give Raymond marvellous care, often with follow-up phone calls. I still have him in my life!!! My Name is Christina and I am a caregiver to my husband Chris. Chris was diagnosed with Parkinson's disease over ten years ago and in the last year and a half has suffered from Multiple Myeloma (i.e., blood cancer). Chris had his last of nine months' weekly chemotherapy treatment. I am grateful for the support I received from Caregivers Nova Scotia and the network of caregivers, which meet once a month. They are a great source of experience, information, and support. 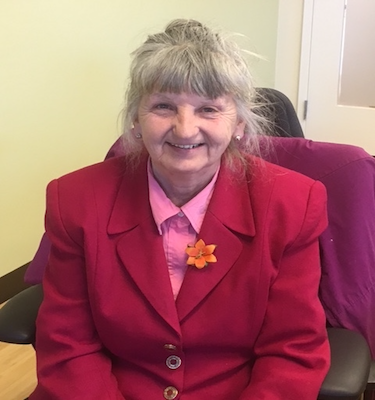 I attended workshops and through resource material learned how to plan for future needs, seek home care services, deal with health assessments, and received personal support. I no longer feel alone and overwhelmed with our current situation. Friends and family sometimes do not understand how difficult and lonely a caregiver job can be. The stress and responsibility to care for a loved one can increase with new tasks the caregiver takes when her partner is no longer able to make decisions, help with daily tasks, or enjoy in activities that both shared before the illness. 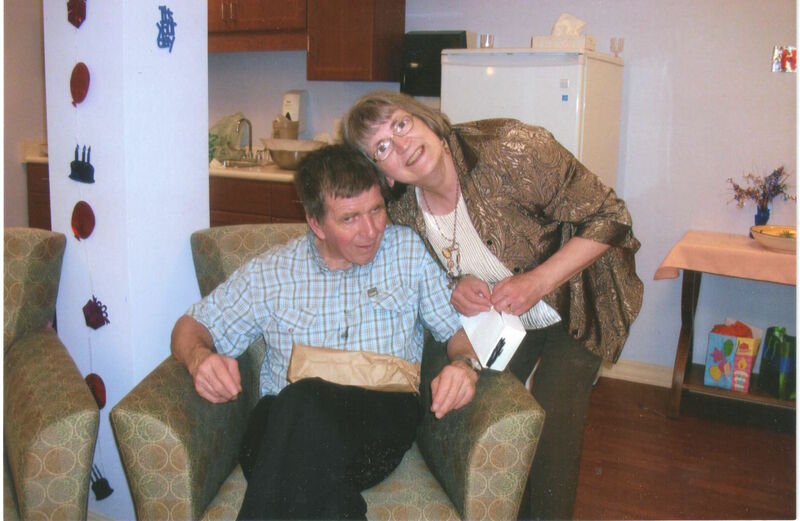 My name is Ann and I have been a caregiver for my husband Leslie since 2003. It all started with a brain tumour for which he had surgery which turned into an infection of the brain for which he had surgery and, miraculously, he recovered. Through regular checkups came the diagnosis of thyroid cancer for which he had surgery and then after a short reprieve came the diagnosis of prostate cancer. Then came the diagnosis of bladder cancer. After a time, he was told that he had terminal cancer for which he could not be treated, other than comfort care. Through all of this he has kept his sense of humour and his spirit, which has helped us both to live each day, albeit challenging at times for me. Over the years I had to take on many more tasks dealing with household as well as financial matters, doctors visits and hospital stays and advocating for him in many ways. At times the stresses were taking a toll on my health and it took me away from my work (a trained care provider in Long Term care) for months at a time. I joined a caregiver support group through Caregivers Nova Scotia which helped me to deal with many of the problems that I was experiencing and in the process gained some much-needed support, understanding, and friendship from the members of the group and the information necessary to handle what needs to be dealt with in times like these. I am very grateful to all the wonderful people I have met through this experience and the doctors that have looked after us both through it all. My name is Bill and I am a caregiver to my wife, Carol for the past 15 years or so. She has MS and finds it difficult to do some everyday chores without help. That is where I come in. Her mobility is restricted to being in a wheelchair. Since her diagnosis, we both had to learn everything new. Coping with physical and emotional challenges is both frustrating and rewarding at the same time. Spare time is when you get a chance to take it. Family, both immediate and siblings, have their own daily routines, so it is up to me to do what I can and learn as I go along. I am lucky to have great friends and a support system I can count on. My name is Mary and I am presently caring for my 92-year-old mother who requires my assistance due to the process of aging. She is frail, with arthritis in both feet, and is currently going through a journey with breast cancer. I take care of her because I love her and she took care of me when I was a little girl. I try each day to bring joy into her life by showing kindness, empathy, and compassion. I go with her to her medical, eye, foot care, and other appointments. She likes to be independent and has no problem letting me know if I am too bossy (she says "If I need your help, I will ask for it"). It is at times a challenge to care for someone because, physically, mentally, and emotionally it can be exhausting. Therefore it is a comfort to know that Caregivers Nova Scotia's support group is there to offer a listening ear, intelligent advice, helpful suggestions, and all in a non-judgemental, safe environment. I have learned so much by attending their workshops, like dealing with stress and how important it is to care for yourself. It is a joy to share my story with these compassionate people. WE Care and We Share with others so our life becomes enriched. Family and friend caregivers are givers of hope, empathy, kindness, and support, they hold a hand and touch a heart. My name is Michelle. I have been caring for my mother for the last 4 years. My mother is now 85 years old. My mother has a number of old age issues. She does not hear very well and her memory is slowly fading. Her walking is unsteady and she has difficulty standing up from sitting positions. She has a number of health problems including diabetes but, fortunately, these conditions are well managed with good doctor care. Mom can still make her breakfast but I do all the grocery shopping and I prepare all the other meals. I also manage the house decisions and pay all the bills. A paid care provider comes in weekly to help my mom with her bath. Mom wears a lifeline just in case she needs help while I am running errands and not at home. I refer to caring for my mom as "the situation”. And the situation is never going to reverse itself; it will only become more challenging and time-consuming. To watch a once vibrant and “take charge” parent slowly lose their ability for self-care is certainly very sad and sometimes for me hard to comprehend. Sometimes “the situation” feels like a bad dream. However, when the going gets tough, the tough get going so I hope I remain courageous while accepting my role as caregiver to my mom. My name is Sharon and I have been a caregiver for my husband J.R. for the past ten years. It didn’t really become hard until my husband had a stroke and spent months in the hospital and at rehab. J.R. did all the cleaning, cooking, even babysat the grandsons until they went to school. J.R. got through the first cancer, he was strong but with the stroke, he had to learn to walk again. Then, the second cancer hit and it really tests your faith. He was cheerful, upbeat, but then he became depressed, sometimes angry. I began to feel like I was in prison, sometimes I couldn’t even go to Church let alone go out for lunch. He seemed to give up on everything it was a chore to even get him to shower. Then it really hit me: my life is no longer mine to do anything. I became really depressed and often cried, my faith didn’t seem to be strong enough. Then through a cousin, I learned about Caregivers Nova Scotia and began to attend their support group. J.R.’s sickness has been very hard; this sure wasn’t what I planned on in my retirement years. Yes, I was bitter, angry and defeated. It helped and still does to talk with people who had or are having similar experiences. I’m learning to be a little stronger. I feel I’m missing out on a lot in my life, but with the help of God and the Caregivers Nova Scotia group I will do as much for him as long as I can, and that is my reward. My name is Ruby and I am a caregiver to my husband Terry who has Parkinson’s disease. Terry was diagnosed with Parkinson’s 17 years ago. He was retired at the time and I decided to take early retirement so we could do some travelling before he got worse. We did this, no problem. As time went on (about eight years later) his disease began to get worse. Medication was not working for him. We tried many research drugs but they did not do much for him. I tried doing as much as I could on my own, but as time went on he was getting worse. I started going to a support group at Caregivers Nova Scotia and got a lot of information and led me to caregivers and home care, which gave me some help with his care. It still wasn’t enough, my health started to get worse and I had to get help for myself. After several trips to the hospital and Terry getting much worse, I had to apply for long term care for him. Terry has been there since 2016. This was not an easy choice to do. I do see him every day for about 3 to 4 hours. We both miss each other very much.